Cinnamon (Cinnamomum zeylanicum) has been used since ancient times to aid natural digestion and flatulence, helping to soothe delicate digestive tracts and firm loose droppings. Cinnamon also promotes insulin activity making it ideal for feeding to help maintain normal blood sugar levels. This product has 12 months shelf life. 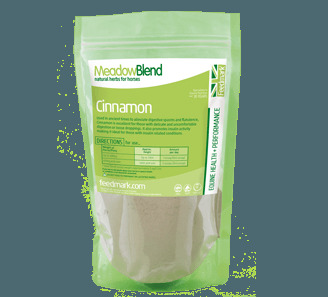 There are currently no questions for Feedmark MeadowBlend Cinnamon - be the first to ask one!